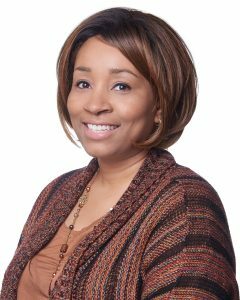 Washington, DC: Cherrie Reid, Project Manager at TCG, has been inducted into the 2018 American Council for Technology and Industry Advisory Council (ACT-IAC) Voyagers Program. The ACT-IAC Voyagers Program is a leadership development program for rising leaders in government and industry with high potential for future advancement. Reid joined TCG in 2016 as a project manager supporting the Millennium Challenge Corporation (MCC) in the redesign of the Country Scorecards and the development of the web-based application used to produce the scorecards. The project was successfully completed in 2017. In addition to participating in the Voyagers Program, Reid is the Program Chair of the ACT-IAC Emerging Technology Community of Interest and serves on the Board of Directors of the Parent Educational Advocacy Training Center, a nonprofit educational advocacy organization. She is also a member of the Project Management Institute (PMI) and the Scrum Alliance. The ACT-IAC Voyagers program prepares mid-level managers for their future roles in industry and government. Reid’s nomination was supported by TCG and she was selected by a panel of senior executives from government and industry.